Bestselling Amazon author of The Frost Chronicles, Kate Avery Ellison, delivers a fantasy novel packed with clever betrayals, surprising twists, and many moments of delicious vindication for its scrappy heroine. This is a must-read for fans of Sarah J. Maas’s Throne of Glass, Maria V. Snyder’s Poison Study, Megan Whalen Turner’s The Thief, and Sabaa Tahir’s An Ember in the Ashes. This is the clever, heartbreaking, intricate YA fantasy you’ve always wanted to read. Briand Varryda has always been too clever for her own good. She’s quick with knives and even quicker with cards. She can scramble up a castle wall. She can ride a bad-tempered stallion with her arms tied behind her back. But it’s never been enough. She’s useless in the eyes of everyone on her uncle’s estate. A guttersnipe. An orphan. An annoyance. Even Kael, the handsome, enigmatic steward of her uncle who has protected her from her uncle’s wrath too many times already, sees her as nothing but trouble to him. But when Briand drinks of vial of poisoned venom that grants the drinker the power to control dragons, she becomes the opposite of useless. She becomes the one thing that might win the war. Kael, she quickly discovers, is a Monarchist spy. Leader of a band of rebels. About to embark on a dangerous mission. And he and his crew desperately need Briand’s new skills. Nobody is happy about the situation, least of all Briand, but she doesn’t have a choice. Terrifying magic users called Seekers are now hunting her and her powers. 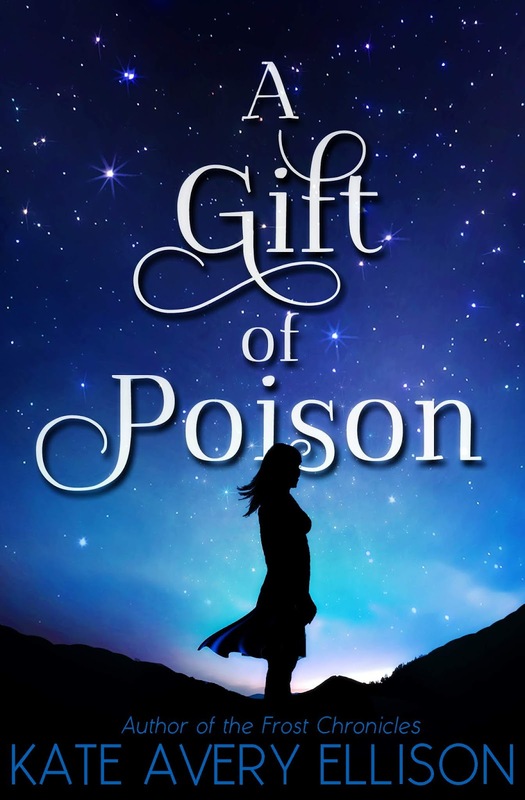 She is plunged into a world of danger, betrayal, and secrets. A world in which friends turn into traitors. A world in which she might be falling for Kael. A world in which she is determined to prove that she is not useless. Briand is going to need all her cleverness to survive. What’s your least-favorite part of the writing process? I loathe writing the end of a book. I don’t know why, but I find that final bit of the process excruciating. I guess I just don’t like ending things. I usually cope with chocolate and donuts. What books have you read and loved lately? I just finished The Cruel Prince by Holly Black and I adored it. Also, I recently devoured, and I mean devoured, Every Heart a Doorway by Seanan McGuire. Don’t let the inspirational fiction-y title deter you. It’s a weird, beautiful, twisted fantasy and I am obsessed with it. Best news you’ve heard all day? I just read online that Disney is making a show about Loki for their new streaming site. And it will be played by Tom Hiddleston. Disney, take my money. Take all my money right now. Also, a record number of women were elected to Congress in the midterm elections, which is awesome. What’s your favorite month and why is it October? Seriously, I feel like we should just all accept the fact that October is objectively the best month of the year. It’s got fall. It’s got crisp mornings and blustery afternoons and that magical slant of the sunlight as the days get shorter. It’s got riots of color in the changing leaves. It’s got Halloween and hayrides and haunted houses. Anne Shirley didn’t want to live in a world without Octobers and neither do I. As a runner-up, I do like December despite the hectic insanity of the holidays. Who is your ideal reader of your books? My ideal reader is someone who loves young adult fantasy with strong and emotionally resilient heroines, quirky side characters, a bit of witty banter, and at least one or two unexpected twists or reveals. They might also be fans of Robin Mckinley, Megan Whalen Turner, Holly Black, Melina Marchetta, or Susan Ee. Kate Avery Ellison wishes she could live in a place where it’s always October, but until that’s possible, she makes her home in humid Atlanta with her husband, two children, and two cats. When she isn’t dreaming up her next novel, Kate can be found binging her favorite shows on Netflix, reading on her Kindle, and dancing in her kitchen. Besides the fact Kingmakers’ War sounds AWESOME, I’m still stuck over the tidbit Kate shared about Loki haha. Seriously love his character in the Marvel Universe! There’s just something we love to love about antiheroes isn’t there? Also, I am completely with the author about October! It really is the best month!